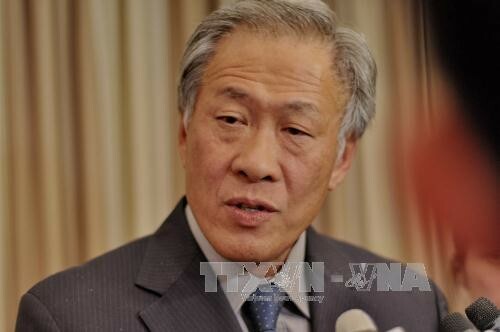 (VOVWORLD) - ASEAN and China must quickly conclude a Code of Conduct (COC) in the East Sea for maritime stability, said Singapore Defence Minister Ng Eng Hen Monday. Minister Ng said the 1982 United Nations Convention on the Law of the Sea (UNCLOS) should be strengthened, as it is "the legal framework on which both rights of navigation and claims of resources are based". At the ongoing 20th Asia-Pacific Programme for Senior Military Officers in Singapore, the Minister said ASEAN must focus on trade, connectivity, and defence to maintain its central role. He called on ASEAN members to stay vigilant against security threats like terrorism.